The Friday Top Five: Animal Vids. Humor is a funny thing. I can write until I develop acute carpal tunnel in both wrists about the funniest subject matter there is (probably extreme tea-party members or mid to late 80’s fashion trends) in the best, most comedic way possible, and still not be as funny as strange animals doing strange things on video. Today, I surrender. Here are my 5 favorite comedic gifts from our furry friends. I know I’m stating the obvious, but cats are evil and want to overthrow all mankind. They’re only living with us domestically to scout out our lifestyles and eventually make an assault on all that is good, holy, and American. This video serves as proof that the felines are working hard when they think no one is watching to make the transition to bi-pedalism. Anyone who has seen Shrek II knows that cats are vicious while standing and engaging in sword to sword combat. Note the arm move around 31 seconds. Looks like a threatening gesture to me. British people can hear the thoughts of animals, just like Mel Gibson in the feel good film What Women Want, but with animals, not women. These English-accented conversations are always funny due to the unfair comedic advantage enjoyed by all English folk and give true insight into what is really happening in the animal kingdom. I would encourage you to watch all of the related BBC animals talking videos on youtube, as they are all quite comical, until you feel you have mastered the concept. At this point, you will be able to watch “Life” on the Discovery Channel again because of your ability to mute Oprah’s terrible narration and fill in the commentary yourself. This spirited pup and his drunken supporters provide one of the top five most awesome instances of man’s best friend being made fun of by man. The dog is decidedly confused because, like most people this past football season, he doesn’t understand how or why it is exactly that he is a Saint’s fan. Maybe Charlemagne, the sassy beau who graces the banner of this page, has me primed to favor vids of goats, but regardless, this one is a gem. How these guys survived the gauntlet of natural history is beyond me. Hop into their shoes: You’re a luscious goat, and you see a predator coming. You sweat. Your heart rate spikes. Instinct takes over and you and you spring into action! Except that the action you take is fainting, which is the evolutionary equivalent of curling up on a silver platter and putting an apple in your mouth…for presentation. Nonetheless, I’m glad these guys made it, because now, after having seen this video, I feel way less bad about that thing with the girl and the bra when I was 13. Over 2 million other people decided that his clip was hilarious, which goes to show that there’s something inherently awesome about wide-eyed animals enjoying a bit of massage. Moreover, zero of the aforementioned 2 million people have the slightest idea what a Loris is. Or if its actually called a Slow Loris? I don’t know either. 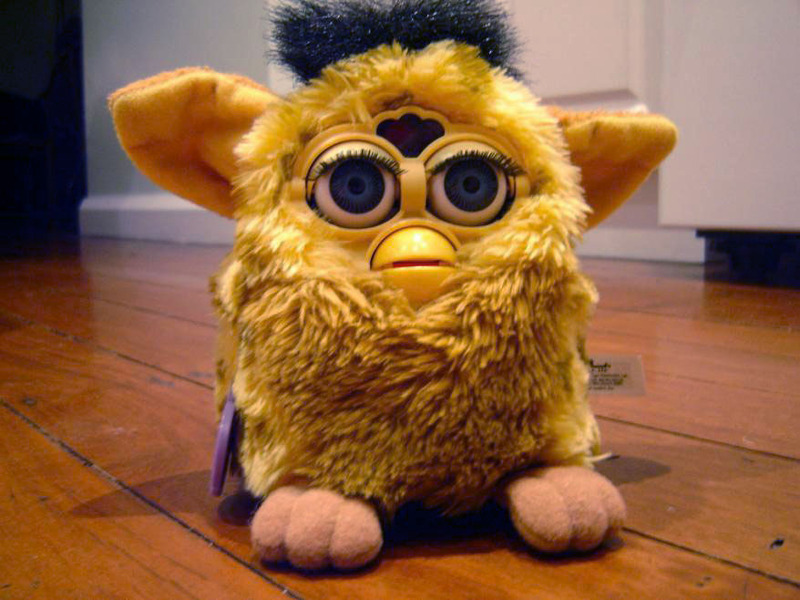 I’m of the opinion that the Loris (Slow Loris) was discovered by the makers of Furby, who have been trying to keep their existence secret ever since. I would like to add that if you scratch my chest at any point during the day or night, I will behave in a similar manner. Honorable mention to “Cat Massage” (http://www.youtube.com/watch?v=TnZhi5gaX8g), which would have made the list, but its really about how unbelievably strange that woman treats her poor cats (for whom I can’t feel sympathy due to my aforementioned feelings towards cats), “Turtle Humps Shoe” (http://www.youtube.com/results?search_query=turtle+humps+shoe&aq=1) which is just way too easy to make jokes about, “Karate Monkey”(http://www.youtube.com/watch?v=__7L6ht6_Qg) which is just more awesome than funny, and “Dramatic Hampster” (http://www.youtube.com/watch?v=y8Kyi0WNg40) which is the filming of a hamster’s reaction to the news that Sara Palin is running for president in 2012. That guy is Sorry For Staring too.